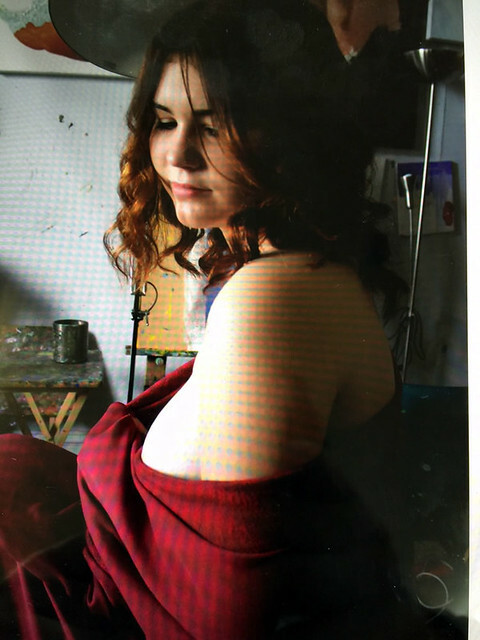 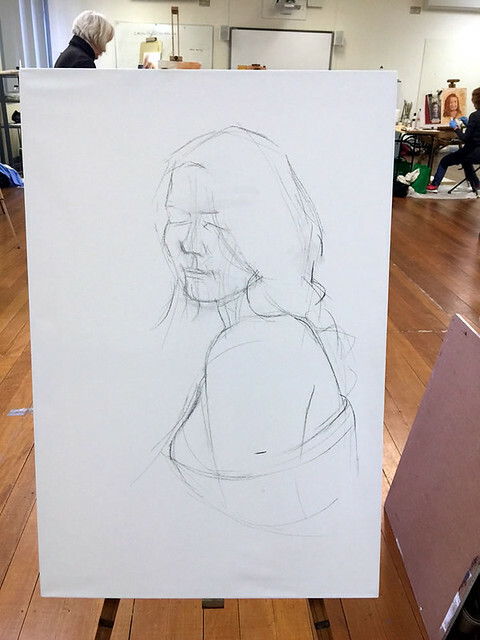 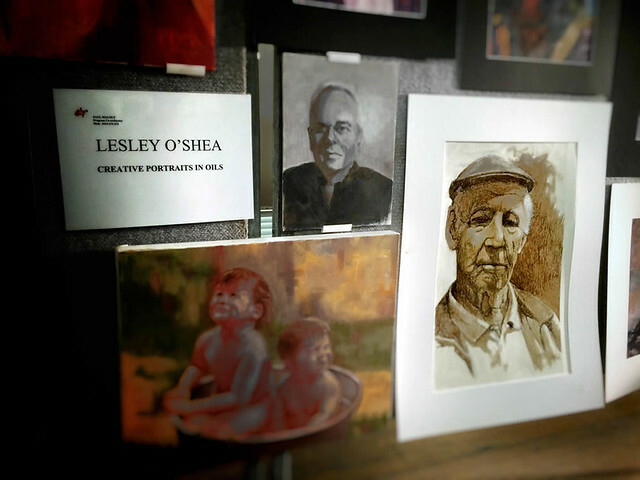 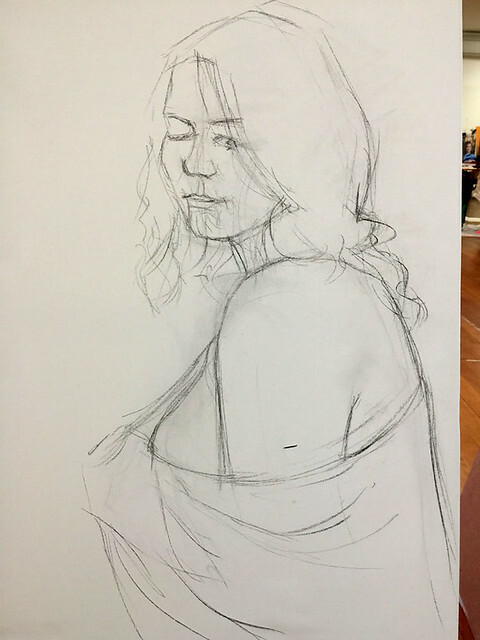 I can’t tell you how wonderful it was to be an art student again for a whole week it was expensive but worth it Lesley O’ Shea was the tutor conducting the class she was great! 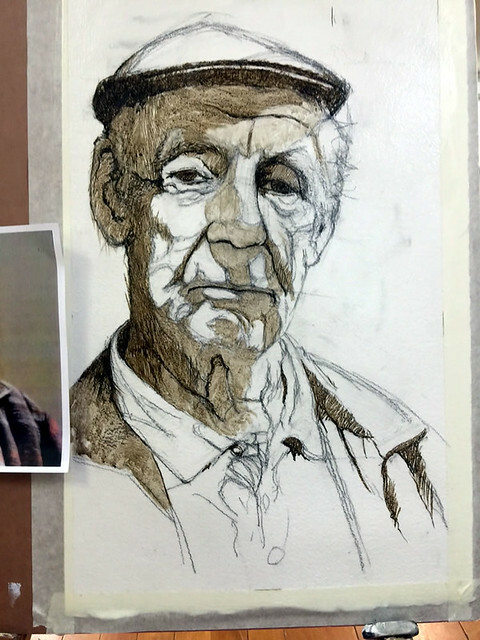 You can always learn something from someone, even though I have painted many portraits over the years. 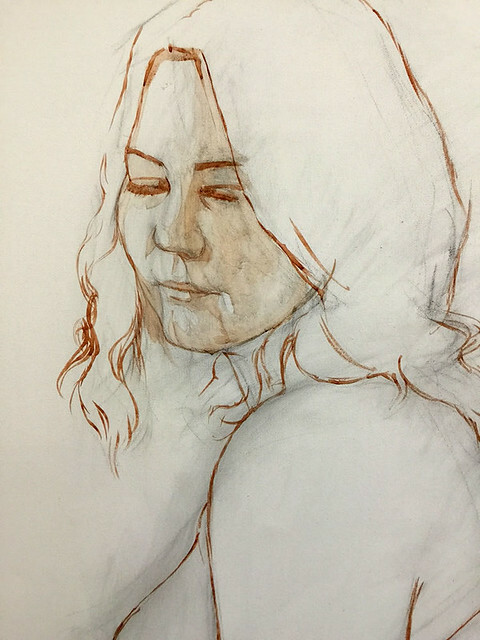 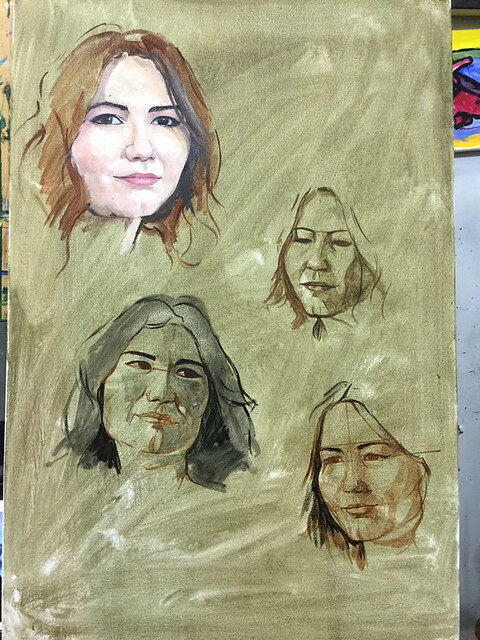 The first day as I sat there with other students watching Lesley demonstrating her approach to painting a portrait, my immediate reaction was ‘ what a great idea I never thought of this’ I can adapt the idea and use it with my students as well as myself. 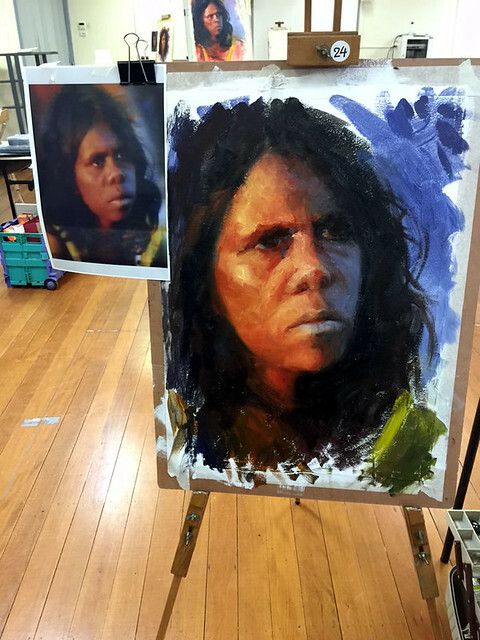 All of us were given a photo of the aboriginal girl this was my painting of her in oils. 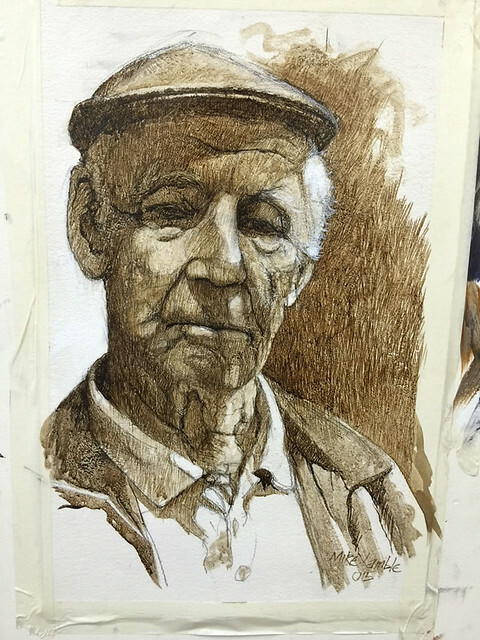 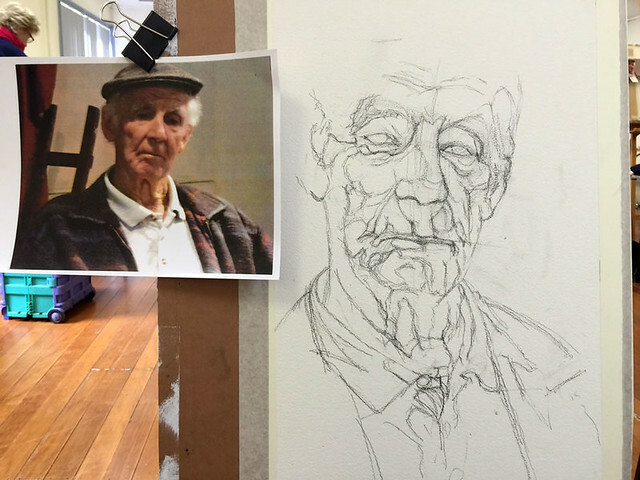 We were given the photo of the old man all the other students took the same approach as in day one after watching Lesley’s demonstration ,this is where I deviated from what everybody else was doing Using acrylic ink on watercolour paper over a pencil drawing. 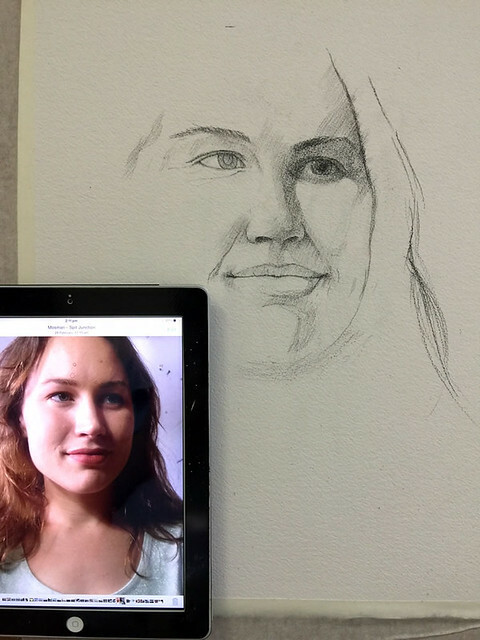 After watching Lesley’s demonstration this time I worked from my own picture of Olivia using my ipad adapting some ideas I had gained from Monday’s demonstration. 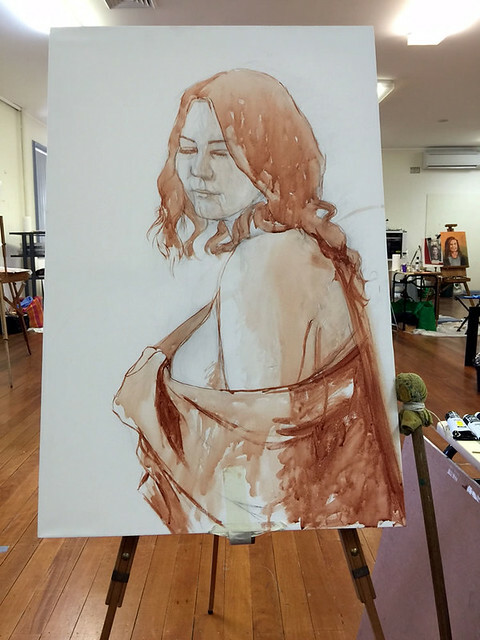 I took the the painting as far as the acrylic under painting so I wouldn’t have a rather large oil painting odours asphyxiating me in the car for the duration of the three hour drive back to Sydney after painting a few studies of Olivia’s face I will complete the painting in the weeks to come. 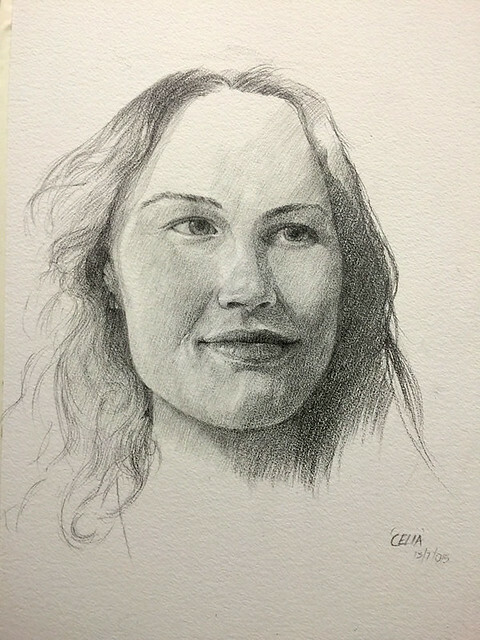 I couldn’t resist drawing my adopted in a style straight out of the Renaissance with a view to painting her the following week in my own studio pencil on watercolour paper. 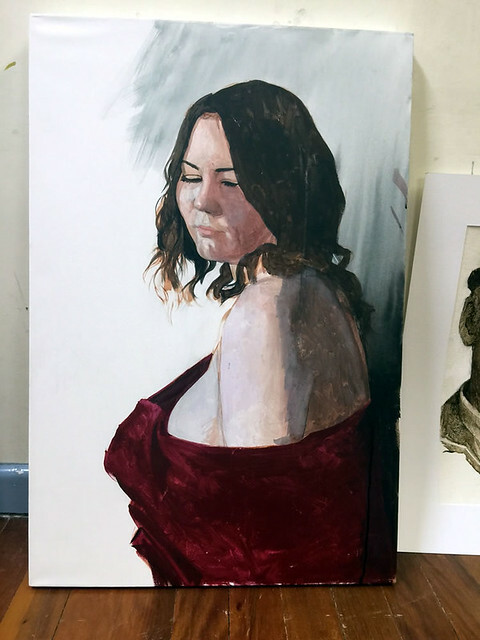 In conclusion, to indulge one of my passions for a whole week was wonderful I remember my days as an art student and lamented the days I had wasted not appreciating the chance my parents had given me, even though I have made up for it since this week brought it all back to me, I was going to make the most of every minute and I did.